Internet Public internet access is inexpensive and widely available at Internet shops and at most guesthouses and hotels. Prices run 2000R-4000R/hour at the internet shops and is often free for guests at guesthouses. Most internet shops offer internet phone service for as little as 400R-700R/minute. Wifi Internet Access Wifi internet access is very widely available in Phnom Penh - at restaurants, bars, coffee shops and many of the hotels and guesthouses. In fact public access wifi in Phnom Penh is, generally speaking, more widely available than Bangkok or Ho Chi Minh City. The wifi is free at most places that offer it, though connection speeds vary. #464A, Monivong Blvd., Phnom Penh, Cambodia. #368, Street 163, Phnom Penh, Cambodia. #7D Russian Boulevard, Cambodia Chamber of Commerce Building, Phnom Penh, Cambodia. 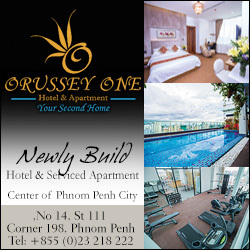 4th floor, AnAnA Building #95, Norodom Blvd., Phnom Penh, Cambodia. 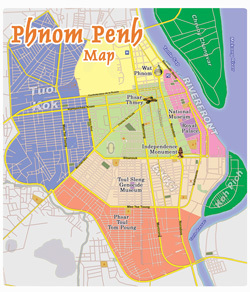 #33 Sihanouk Blvd., Phnom Penh, Cambodia. DSL, ADSL, WiMAX, Fiber Opic, Pre-paid cards, Hosting, Pre-paid cards. How to telephone to/from Cambodia Cambodian telephone numbers are usually listed beginning with a '0' (for example: 023-000000.) The first three numbers (010, 012, 016, 023, 063, 034...) represent the provincial area code or mobile phone system. When dialing domestically, it is necessary to dial the entire number including the '0' at the beginning. (for example: 023-000000) When dialing internationally to Cambodia, use the country code but exclude the '0' (for example: +855-23-000000). When dialing an international call from Cambodia, precede the phone number with gateway code such as 177 or 001 (for example: 177-662-251-0000). Purchasing a phone number/SIM card Cell phones in Cambodia use SIM cards. You can purchase a SIM card and telephone number at one of the many phone shops scattered across town. SIM cards are also available just outside the arrival terminal at the Phnom Penh International Airport where it can be purchased for as little as $1.50, sometimes free. Valid passport and visa required. The post office offers letter and package delivery services, post office boxes, international phone calls and fax and collectable stamp sales. Cambodian postage stamps can be quite colorful and unique, and the process of trying to make the correct amount fit on the envelope is an experience in itself. The Post Office is a large, distinctive colonial-era building a block east of Wat Phnom, just off the riverfront, a historical landmark in its own right. It sits on 'Post Office Square,' amongst several other early colonial buildings. The Post Office building and many of the surrounding structures were built in the 1890 and early '00s, at the very begining of Phnom Penh's modern development. Open Monday through Friday 7:30AM-5:00PM and Saturday morning 7:30AM-11:00AM. 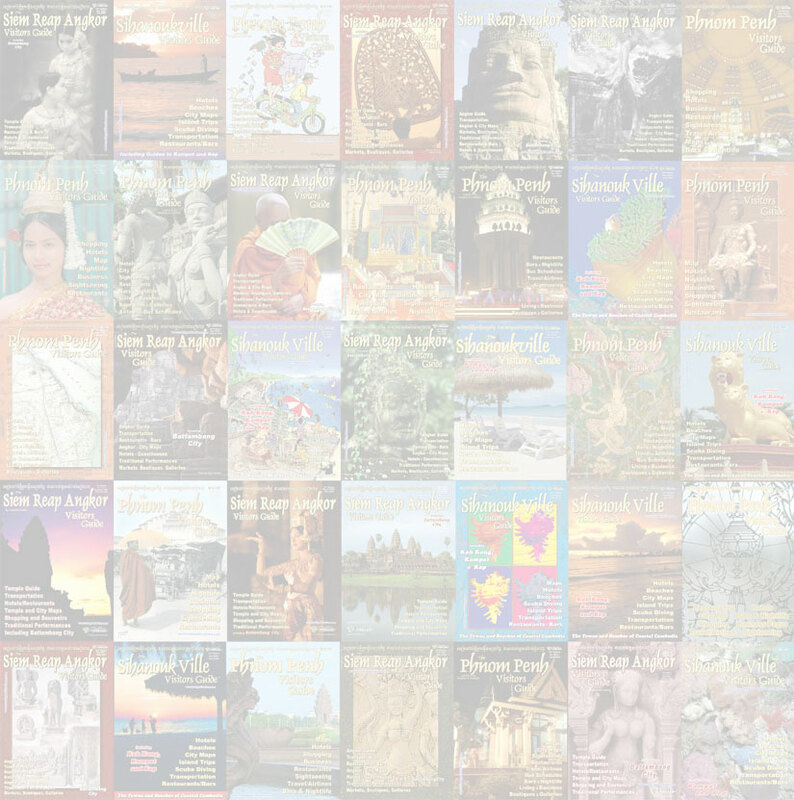 Cambodia has long produced colorful and historic postage stamps prized by collectors. 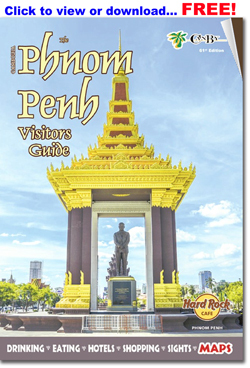 Collectable stamps and a collection books are available for sale in the lobbies of the post offices in both Phnom Penh and Siem Reap. Phnom Penh has the better selection. #2-3 Street 118, Phnom Penh, Cambodia.